We’ve just released a new version of USE Together. Among many bug fixes and improvements, we’ve added two great features you will surely enjoy! Integrated to the messaging zone, you can now share any file with all your team. 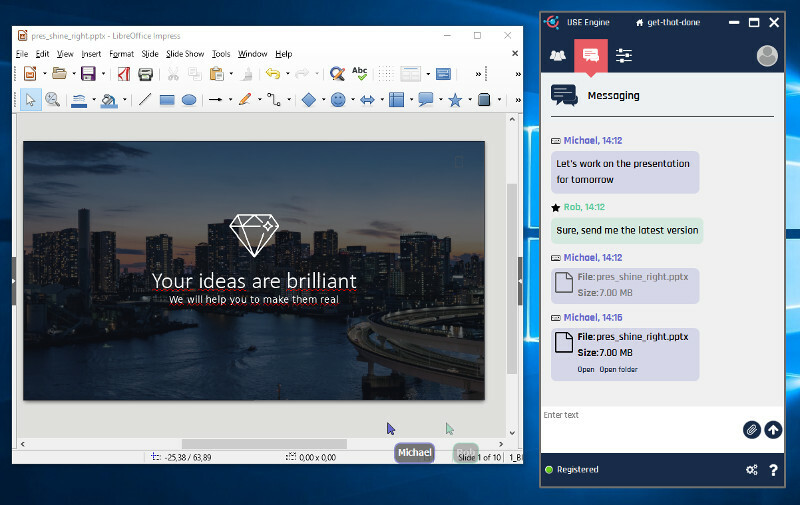 Create the most awesome presentation together with your team, thanks to USE Together multiple users support. When you’re done, simply send them back the slides directly from USE Engine. They can in turn send you any file. Confidentiality of all documents shared is preserved: 95% of the screen sharing sessions on USE Together are made through a P2P (peer-to-peer) architecture, with no gateway between the screen shared and the clients accessing it. The last 5% are when a restrictive firewall or NAT configuration prevents a direct connection: in this case, our own servers are used as gateways but even then, the communication can only be decrypted on each end. We cannot see anything even if we wanted to. 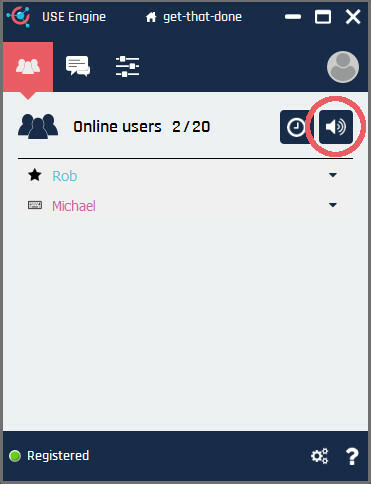 Your team can now hear what is coming out of the speakers, thanks to USE Together new desktop audio streaming feature. Imagine listening to a podcast remotely and being able to comment it in real time. Or editing a video together with your team. The possibilities are now endless with this feature! Your whole desktop can be shared through USE Together, with still no need to download anything when accessing a screen sharing session. Download USE Engine here and start being productive right away, together with your team.